The new owners of the Parkwood Crossing office park, Philadelphia-based Rubenstein Partners and Strategic Capital Partners of Indianapolis, opened the $6 million PARC, Parkwood Amenity and Recreation Center, as part of a larger plan to invest $20 million in the property. 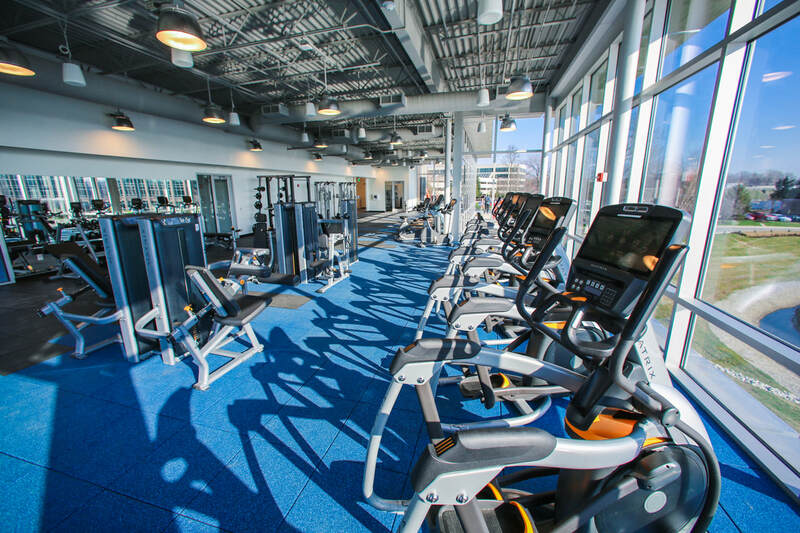 The two-story, 14,000-square-foot amenity center features a concierge, 6,000-square-foot fitness center with locker rooms and showers, a state-of-the-art conference and training center, tenant lounge, gourmet cafe and outdoor deck. An inviting tenant lounge with fireplace and outside wraparound deck with lake views for working, networking, conversing and dining. A gourmet café by Sahm’s with online ordering. A 6,000-square foot fitness center with cardio machines, weights and group fitness classes. A conference and training center with state-of-the-art technology and A/V capabilities. Connection to the Monon Trail and the Carmel Bike Share system using the Zagster bicycle sharing program. Four Tesla and two universal electric charging stations. Please check out the virtual tour of the renderings of the exciting new PARC.